You probably encounter this question on a daily basis. But, how often do you answer truthfully? My guess is that ninety percent of the time – no matter how we feel – “How are you?” is met with “Fine, thanks. And you?” or any number of similarly generic answers. It can be hard to open up and share your true emotions. However, being in touch with, and honest about, your emotions can have a huge positive affect on your mental health. Emotion tracking is an incredible way to monitor and measure how you feel and importantly, why you might feel that way. It’s also unique in that it provides everyday individuals with the chance to actively monitor their well-being and mental state throughout the day. So how exactly does emotion tracking work? Tracking emotions is one of the fastest growing ways to help quantify your mental health. And technology companies, large and small, have worked tirelessly over the last few years to create a solution that best helps us to identify and understand our emotions. In the simplest terms, emotion tracking is the ability to measure and gauge the emotional status across a period of time. By recording snapshots of your emotional state, you can provide insight for yourself, or others (such as therapists) to analyze. This emotional data can then be correlated and reported on to help you unpack the instances and circumstances that lead to distressing situations, or likewise, your happiest moments. Detecting how emotionally volatile you may be in certain situations can be a huge help in improving your mental health. For example, insights from emotion tracking could help a medical professional provide advice and support on how these feelings can be coped with in everyday activities. For decades, scientists have been delving further into emotion tracking and the benefit it can provide, with constant discoveries into how this can affect our psychological well-being. One of the oldest techniques associated with emotion tracking is journalling. 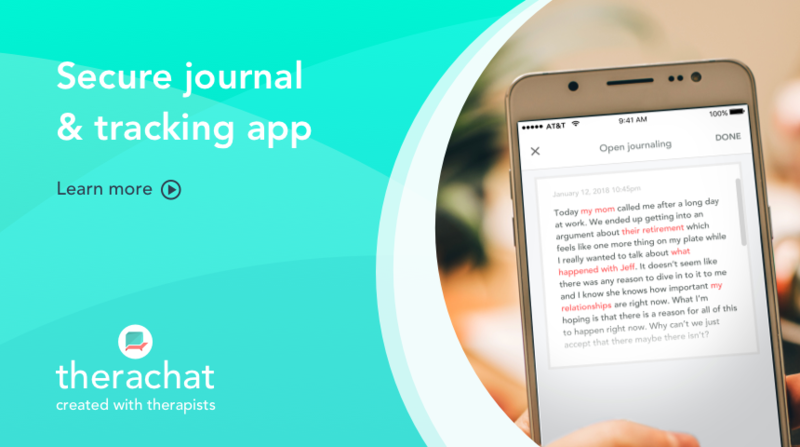 Journal creation is a way to document your feelings and emotions. One of the most famous examples of using a daily journal was Benjamin Franklin. Benjamin Franklin, known for being one of the founding fathers of the United States, used journaling to help track his emotions and feelings at the start of every day. A lot has changed regarding technology in the last 400 years. And the 21st-century version of emotion tracking has evolved rapidly since the days of old. Apps, like Therachat, Moodnotes and Day One, allow users to input and record thoughts, feelings and emotional states on the go, making the process of emotion tracking more efficient, portable and reliable than the methods of yesteryear. 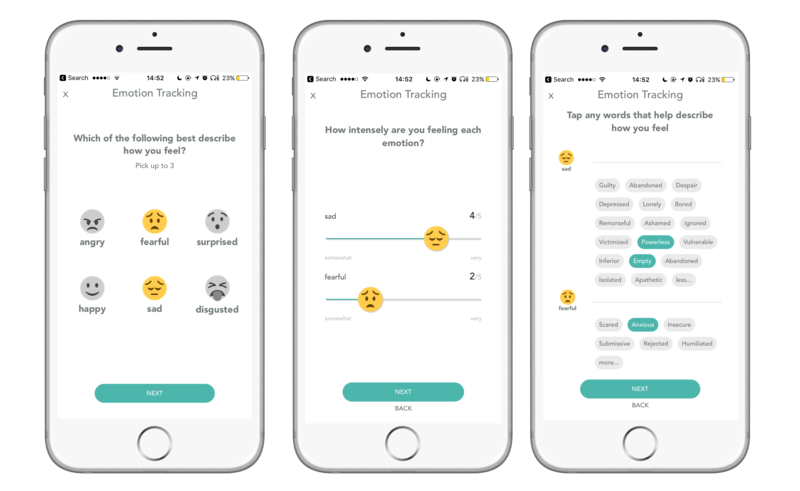 Emotion tracking apps can help individuals better understand their mental health in a variety of ways. From helping people articulate which emotions they are feeling and enhancing their emotional literacy to helping people become more aware of their emotions and understanding how they can work to improve their well-being. Emotions are triggered by specific incidents in our day-to-day lives, for example, receiving a text from a close friend could spark a happy emotion. Whereas moods are a bit more generalized and tend to stick around a little longer than an emotion. When we talk about emotion tracking, we’re thinking about how we feel in-the-moment at any given time. 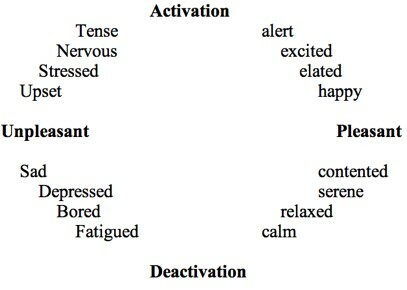 Whereas mood tracking could take a zoomed out approach, like “how did you feel today” or “this week”. Emotion tracking helps to quantify our thoughts and feelings at any given time or day. And by taking a regular snapshot of your emotions, you’re able to build up a big picture to your emotional flow across a period of time. Tracking your emotions helps you to identify what influences how you feel and in turn enables you to develop healthier habits. For example, if you see a trend that you always feel sad or drained at 4pm on a Tuesday, you can begin to interpret what’s triggering those emotions. Emotion tracking, as we know it today first arose in the 1980’s when the scientist, James A. Russell, shared a process to explain emotional behavior called “A Circumplex Model of Affect”. With this form of emotion tracking, you can begin to see trends emerging based on the words you select and the frequency in-which you felt those emotions. 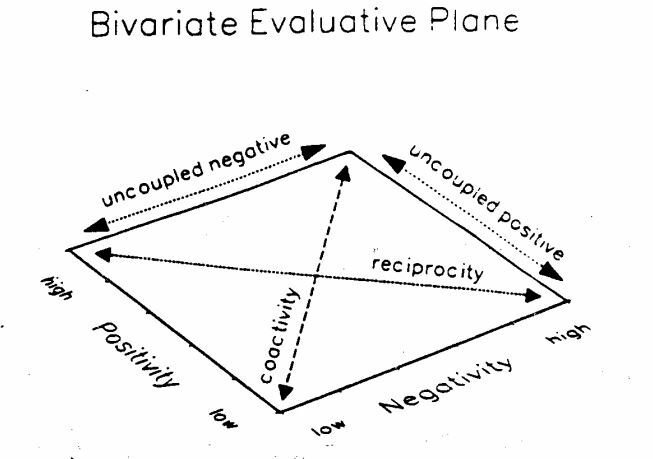 Following on from Russell, in 1994, John T. Cacioppo shared the ‘Evaluative Approach’ to measuring emotions. This approach, though quite complex and difficult for people to use in their day-to-day lives, presents emotions as part of an evaluative space, with the axes as coactivity and reciprocity. What is the science behind emotion tracking? Using emotion tracking technologies, 35 candidates took part in the investigation. From the summary of results, the study uncovered that raised emotional awareness reduced the persistence of bad habits and improved goals pursuit for a wide range of target goals. The recognition of being emotionally aware is one of the leading benefits to emotion tracking on a regular basis. Today, thanks to the evolution of technology, we can now measure and understand our emotion in much easier ways. Easy-to-adopt resources and apps have come to the forefront of emotion tracking, allowing the masses to track their every day. Why is Emotion Tracking important? With awareness around mental health issues on the rise as the World Health Organization predicts that by 2030 depression is going to be the number one cause of global disability, more and more people are beginning to pay attention to their mental well-being. Many millions of people have downloaded apps and purchased wearable devices in an effort to monitor their feelings, habits, and behaviors. As a result, emotion tracking has emerged as one of the best ways to document your day. Cognitive behavioral therapy (CBT) has been one of the methodologies affected by the latest emotion tracking technologies. CBT is an area of healthcare that focuses on emotions and taking cognitive control of your emotions is the key practice within CBT. Cognitive control of your emotions can have a positive impact on your day to day activities, everything from how you deal with pressure and anxiety to your reaction to emotions of sadness and anger. Emotion tracking technologies will help make patients more emotionally aware outside of the therapy sessions. This can have a positive effect on the success of therapy sessions. For example, emotions tracked on our Therachat mobile app translate into easily readable charts, so that therapists can follow the emotions their clients are experiencing in between therapy sessions. By understanding how their clients are getting on when they’re outside of their office, therapists can build up a better picture of what their clients are experiencing and how best to treat them. The future of emotional health will no doubt be supported by a range of digital tools and it seems we’re only touching the surface of what’s possible. Emotion tracking can provide incredible value for the mental health space, for patients and professionals alike. Have you ever tried any emotion tracking apps or tools? Let us know in the comments.